Focus Home Interactive and Vostok Games are deploying today a new update for their Battle Royale FPS Fear the Wolves, now available in Steam Early Access. Fear the Wolves drops players, in squads or as lone wolves, into the oppressive environments of a radiation-ravaged Chernobyl. The classic Battle Royale mode forces them to fight to be the last man standing. From the launch of the early access, Vostok Games has been looking after the feedback from the community which has allowed the team to roll out multiple updates and improvements - but that was only a start, as dev team continues improving their game on a regular basis along the Early Access period. Today’s update is first dedicated to performance optimization – many players should see a significant improvement during their gameplay sessions, while the developers continue working hard to make sure Fear the Wolves runs smoothly and reaches higher performance on all configs as the Early Access goes on. 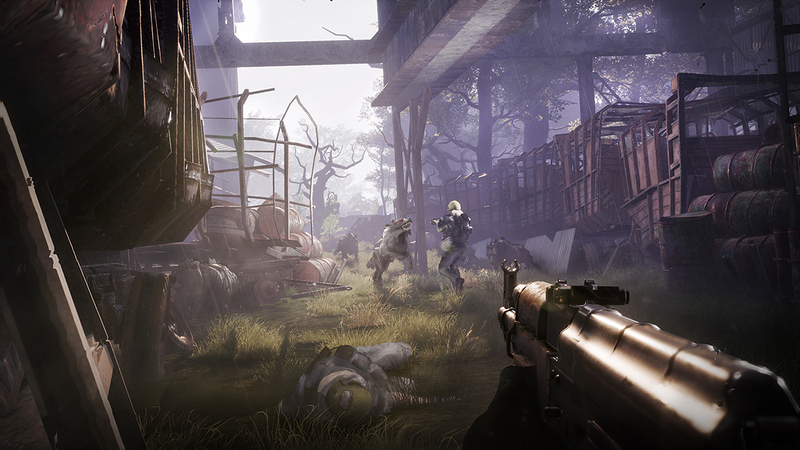 Maps also received a significant care, with more landmarks and topography tweaks, not only strengthening even more the immersion into the dark Chernobyl atmosphere, but also bringing more intensity and challenge during the entire gameplay session, as well as offering a better overall balancing (loot repartition, weapons…) - either games are launched with high or lower number of players. More additions like new languages available, queuing for new game while being in spectator mode, improved visuals, and more content will complete this new update. Full list and details about this update are available here. More information will be revealed in the incoming months, so stay tuned for more! Enter the battle for Chernobyl, as Fear the Wolves is available now on Steam Early Access. The launch of the full game is planned for 2019.